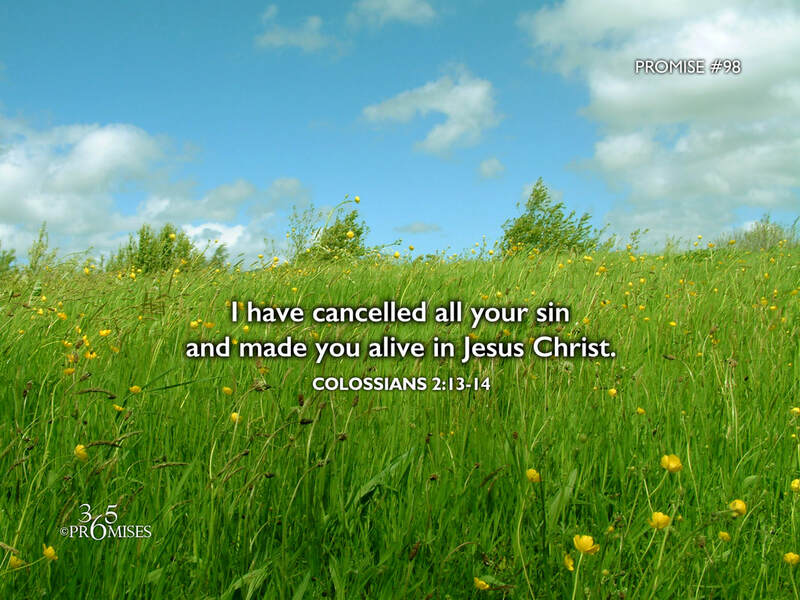 I have cancelled all your sin and you alive in Jesus Christ. 13 You were dead through your trespasses and the uncircumcision of your flesh. Paul the Apostle tells us in Colossians 2:13-14 in no uncertain terms that God the Father has cancelled all our sin, forgiven all our trespasses, and has even blotted out any charges against us! Because of the cross of Jesus Christ, every sin, every failure, every mistake that we have ever made has been taken away and nailed to the cross! Not just our past sins, but our present sins and our future sins. The finished work of Christ has dealt a death blow to sin and death in our lives. We are now new creatures in Christ. The old has passed away and all things have become new! If you struggle with sins of the past, be encouraged! Hebrews 8:12 tells us that God chooses to remember our sins no more! The once and for all sacrifice of our Lord and Savior Jesus Christ will cleanse us from our guilty conscience. Because of the price that Jesus paid, all of our sin has been cancelled and we have now been made alive in Him. My prayer today is that each one of us would simply believe this to be true.